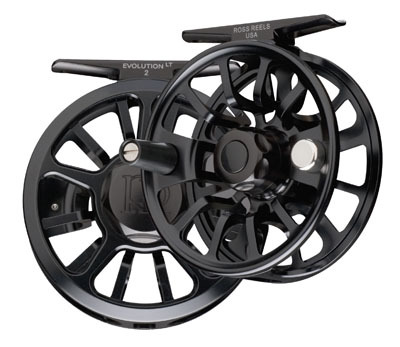 Ross Reels has a great new entry in the reel market–the Evolution LT. This redesigned Evolution frame is lighter than its predecessor, but more interestingly, it is built around a drag hub assembled entirely out of metal parts. The absence of dampening plastic in the hub core means the reel ‘ratchets’ along as you reel in; it is initially a bit unsettling but after a couple minutes to get used to it, you begin to really like it. The ratchet feels solid, like a Swiss watch, and it should aid anglers by providing tactile feedback when reeling. “Haptics” like this are huge in the electronics industry, and it’s cool to see fly fishing manufacturers paying attention (even if the benefit might have been accidental). Let us know your thoughts on the new Ross Reels in the Comments section!